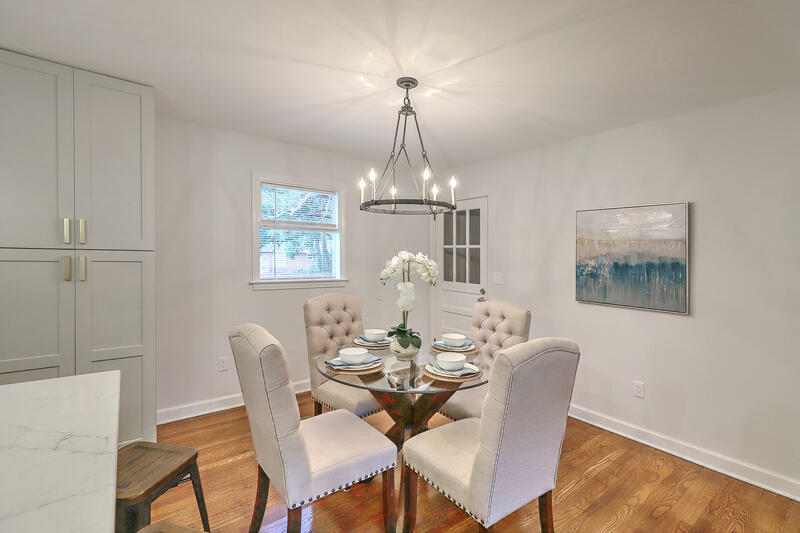 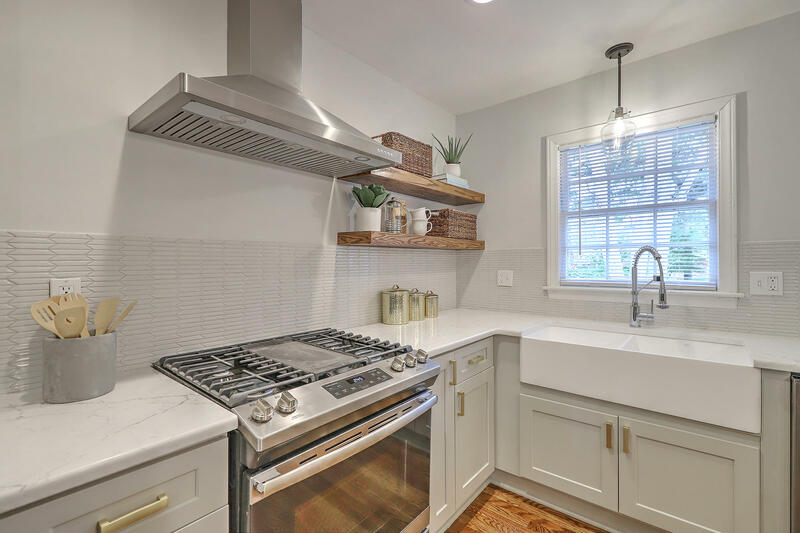 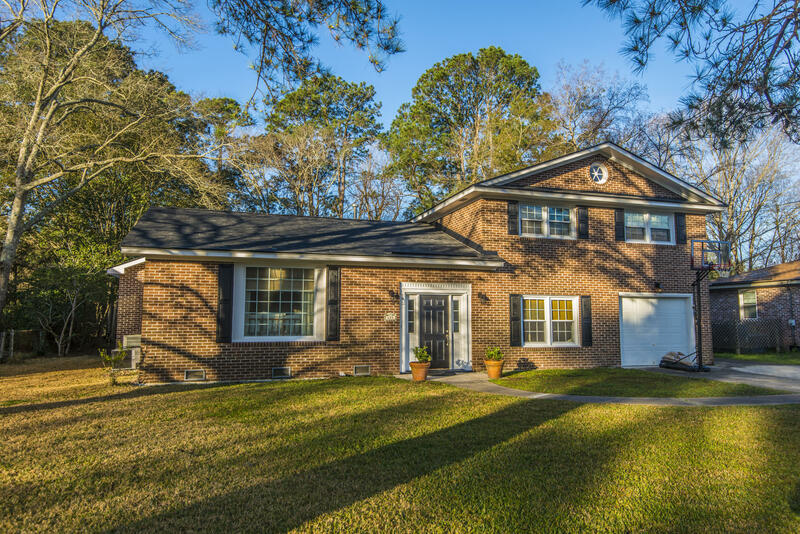 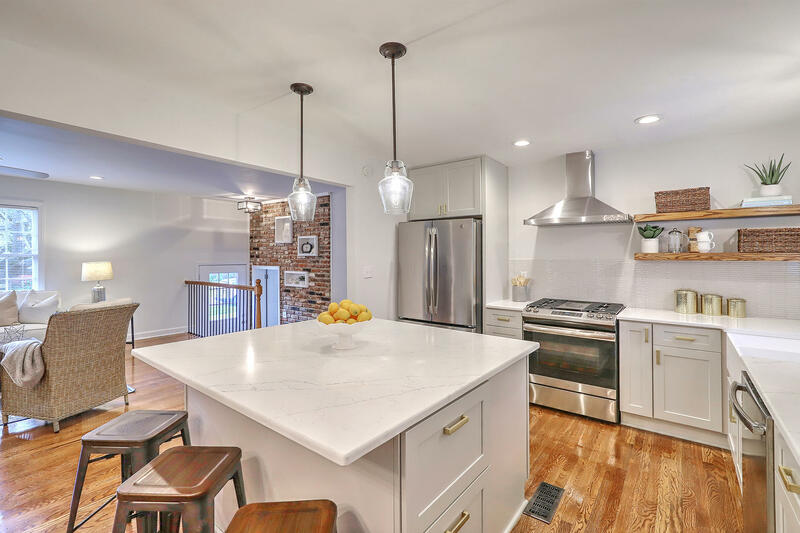 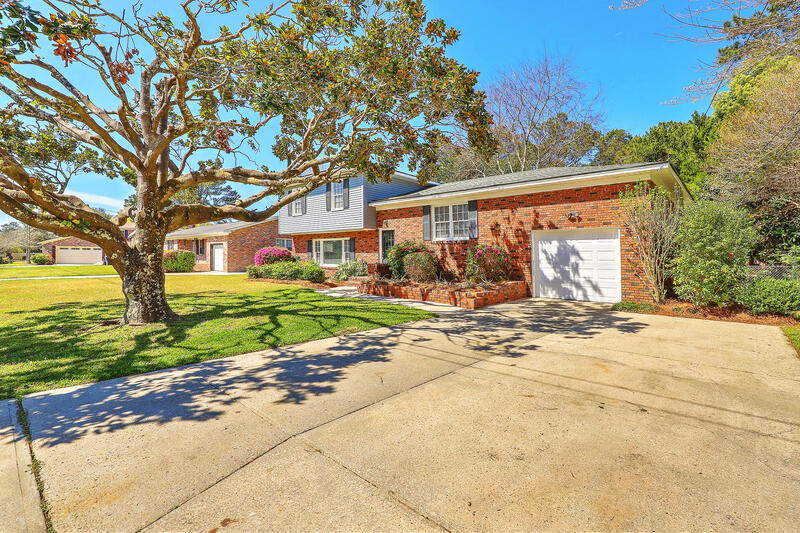 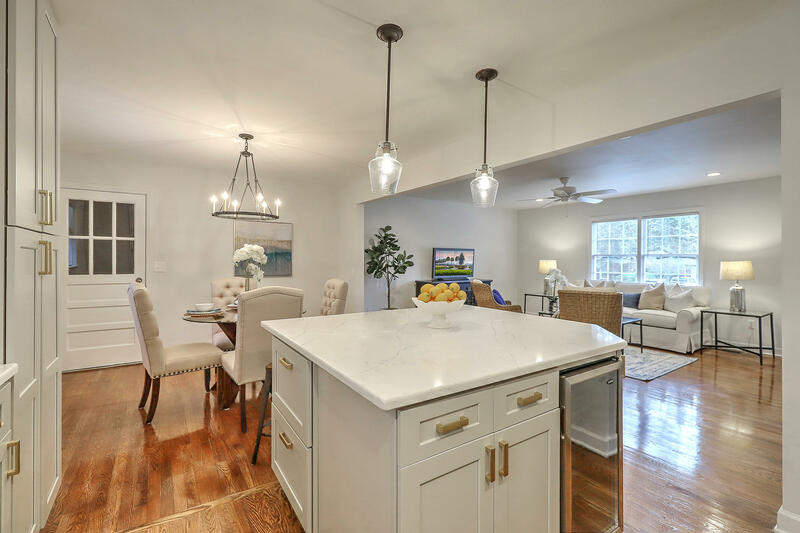 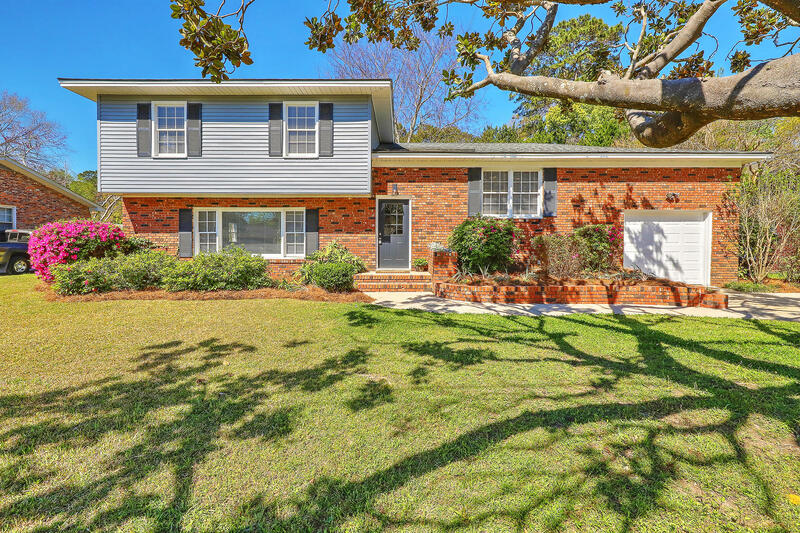 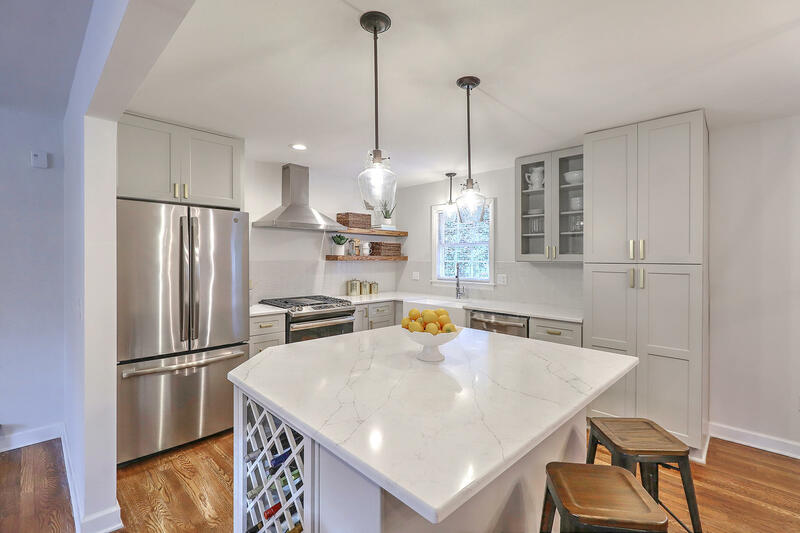 Tasteful renovation conveniently located in the Lenevar neighborhood just minutes from downtown and zoned for St. Andrews Elementary! 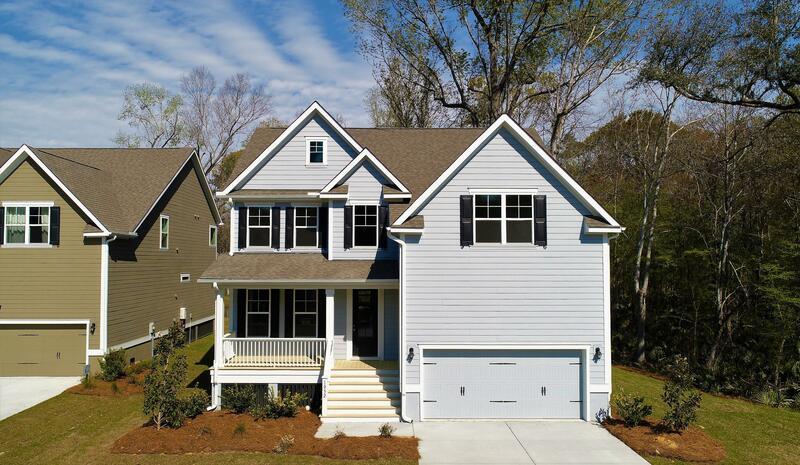 This 4 bedroom 3 bathroom has been renovated top to bottom and features dual masters, newly refinished oak hardwood floors, beautiful gourmet kitchen, brand new stainless steel appliances including gas range and stainless hood, soft gray shaker style cabinets with gold hardware, custom open shelving, quartz countertops, custom tile backsplash, kitchen island with wine fridge and wine rack and a beautiful porcelain farm sink overlooking the huge backyard! 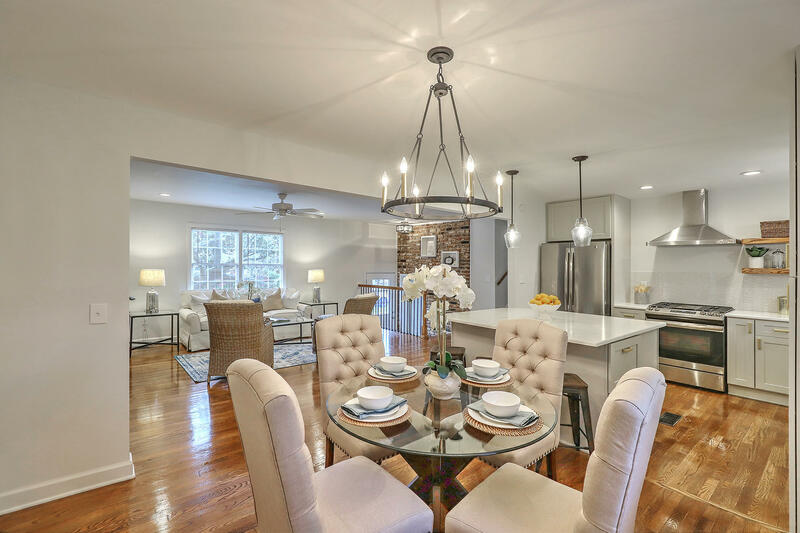 The layout was completely opened up to make this space light, bright and functional for every day living as well as entertaining. 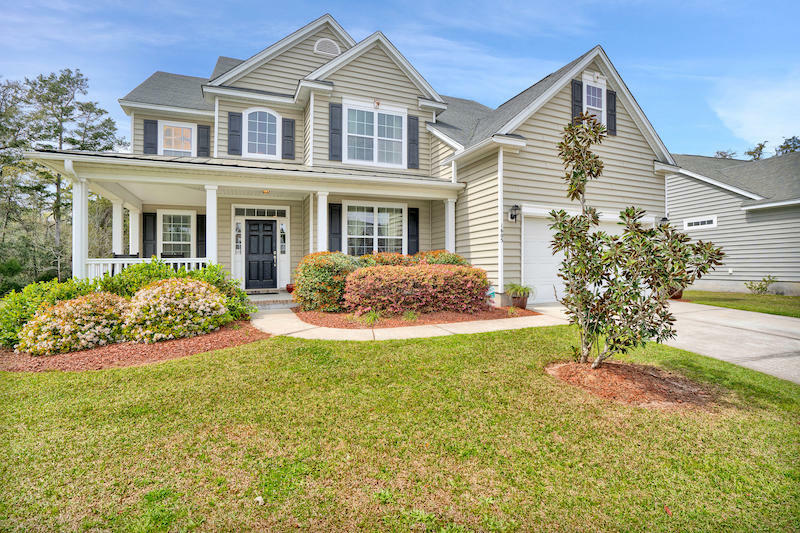 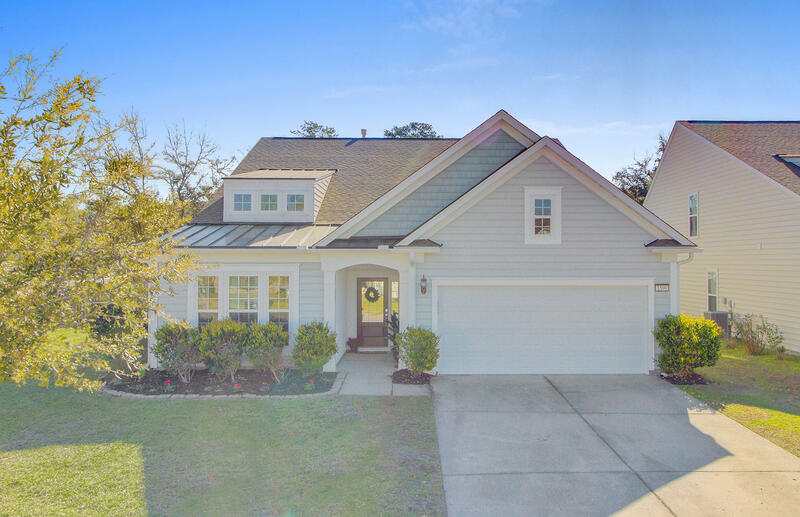 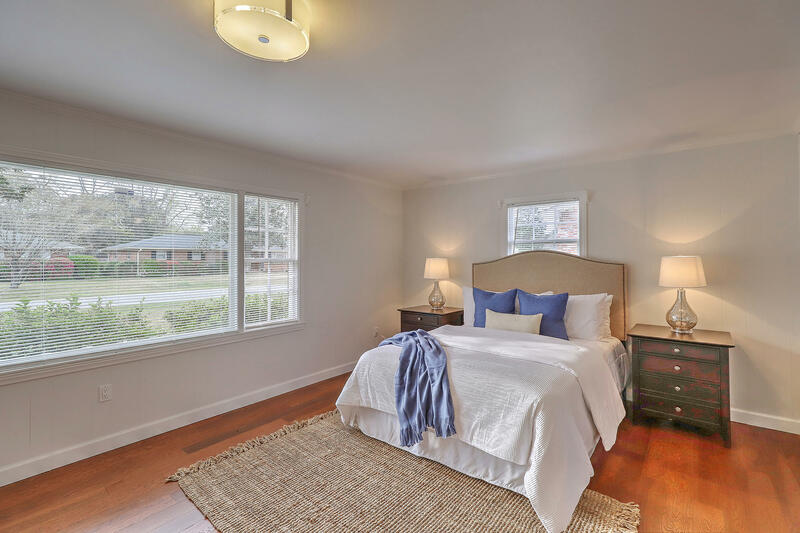 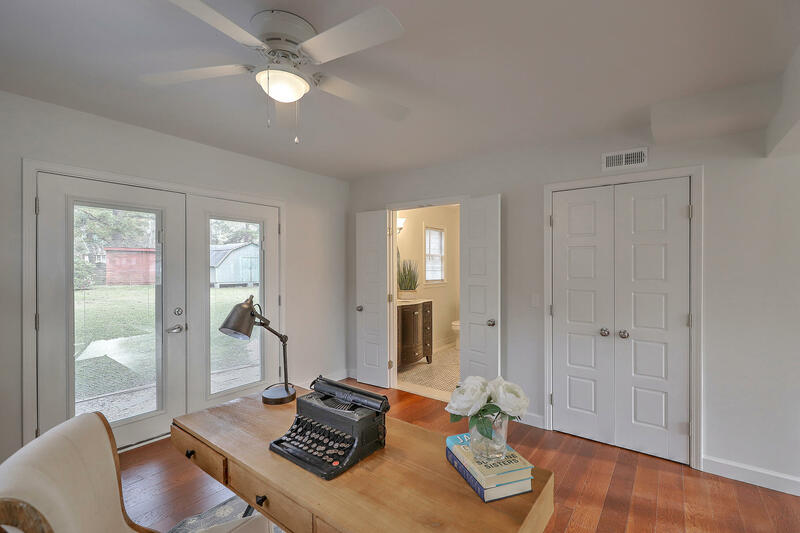 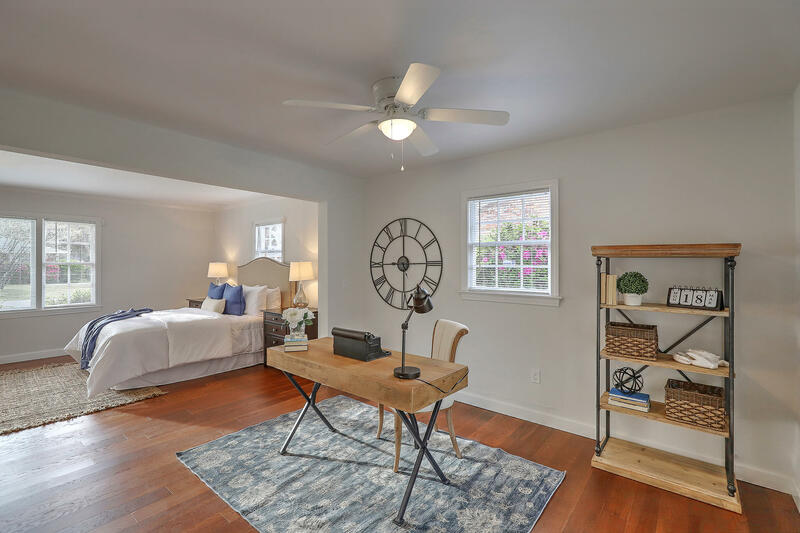 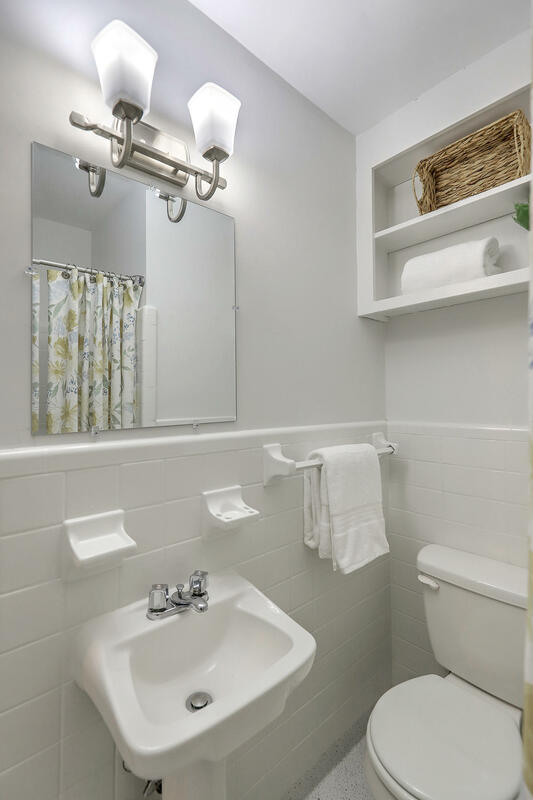 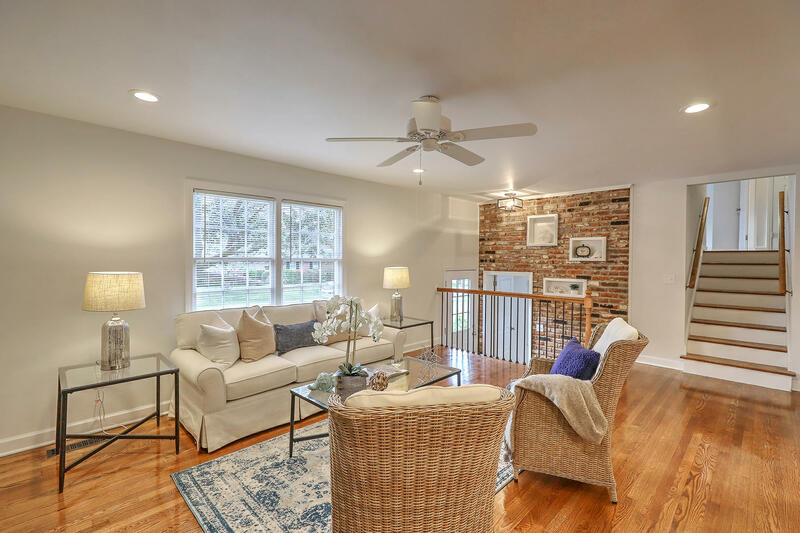 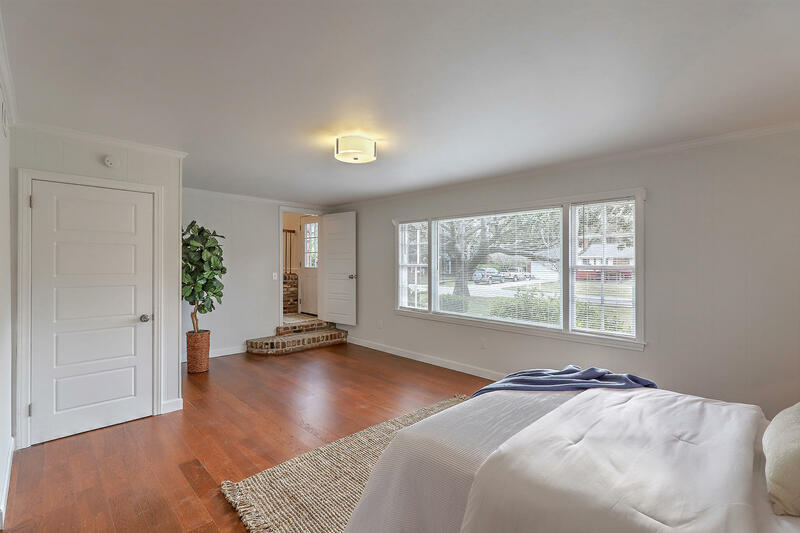 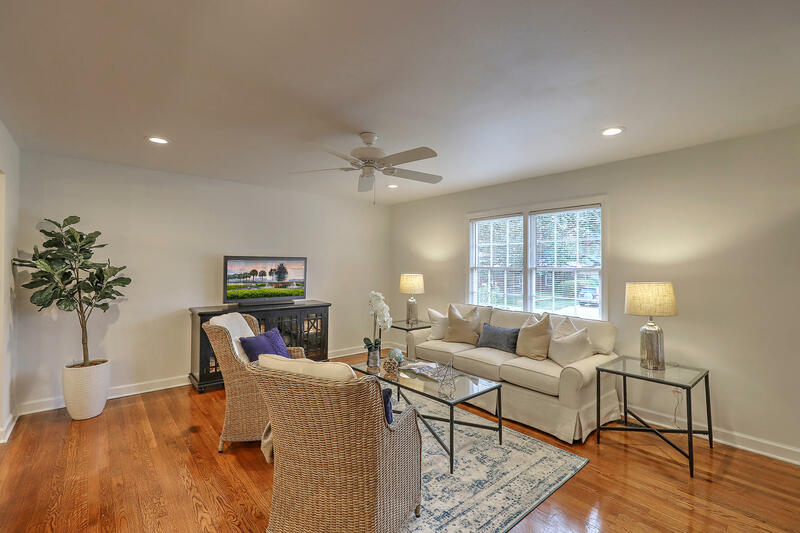 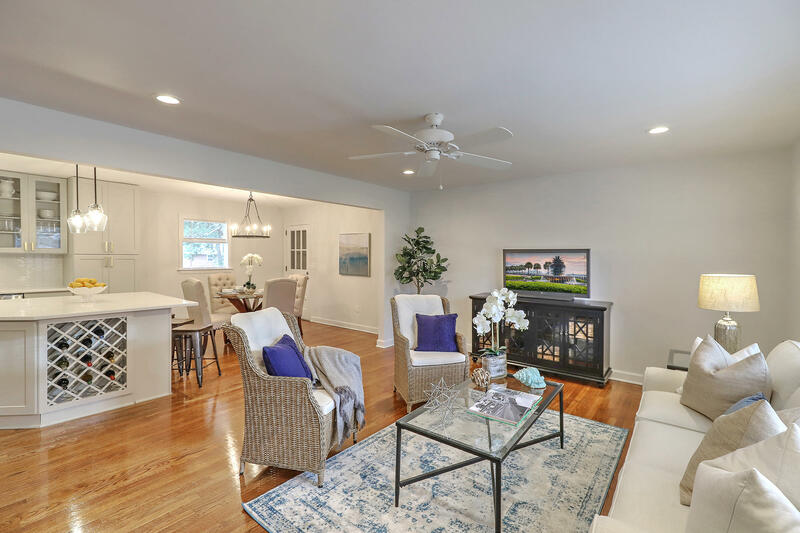 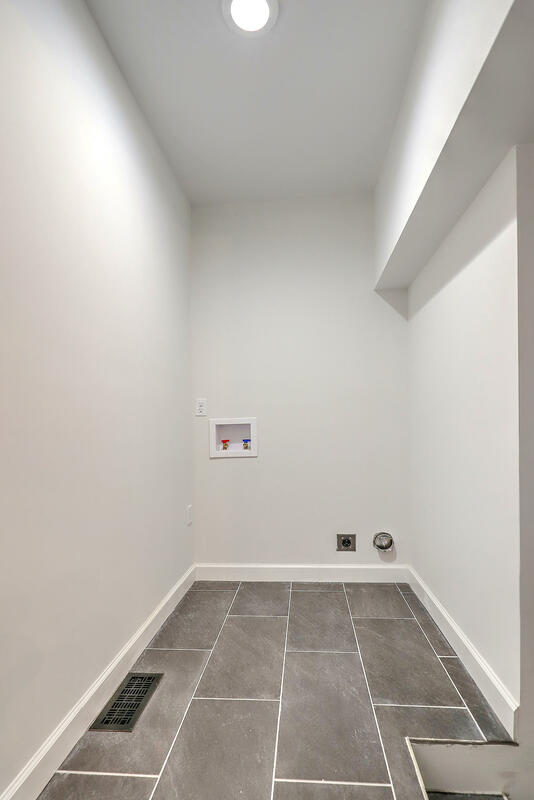 The huge ground level master suite has brand new flooring, multiple closets and space for a dressing or sitting area with french doors leading out to the backyard. 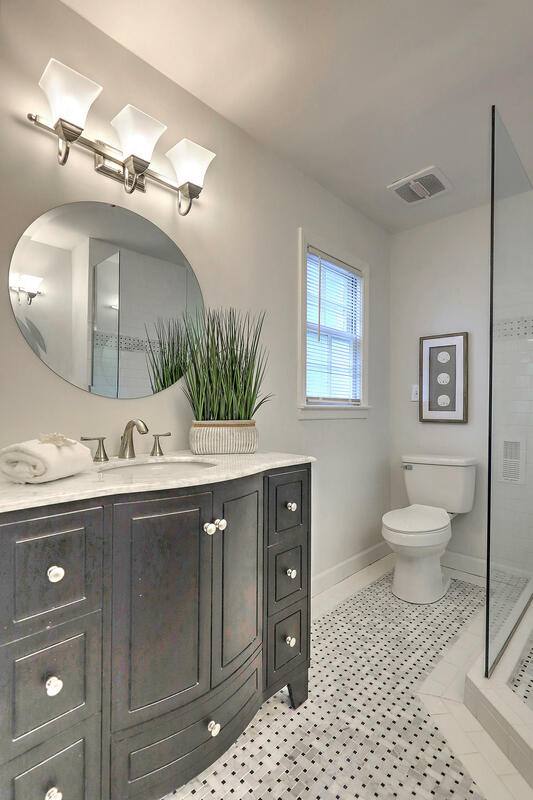 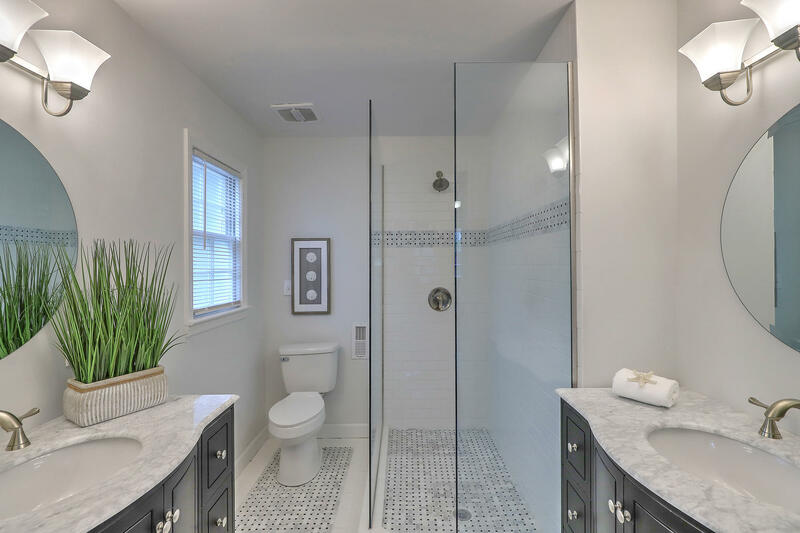 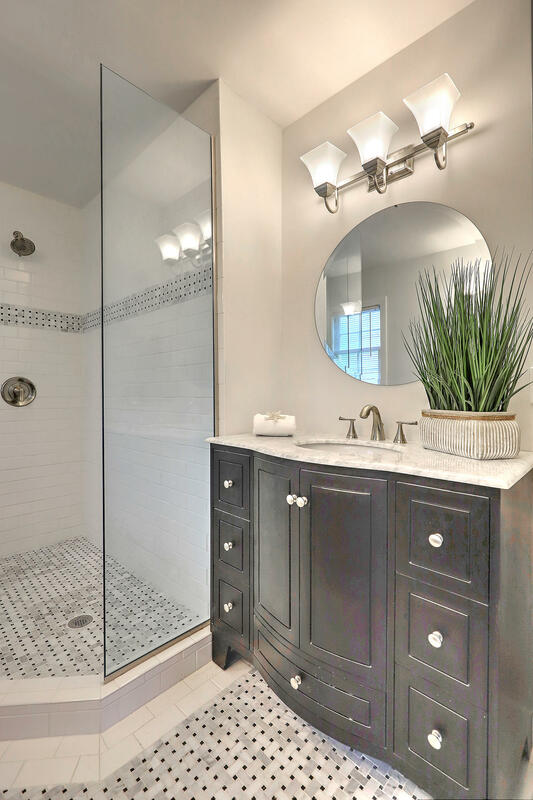 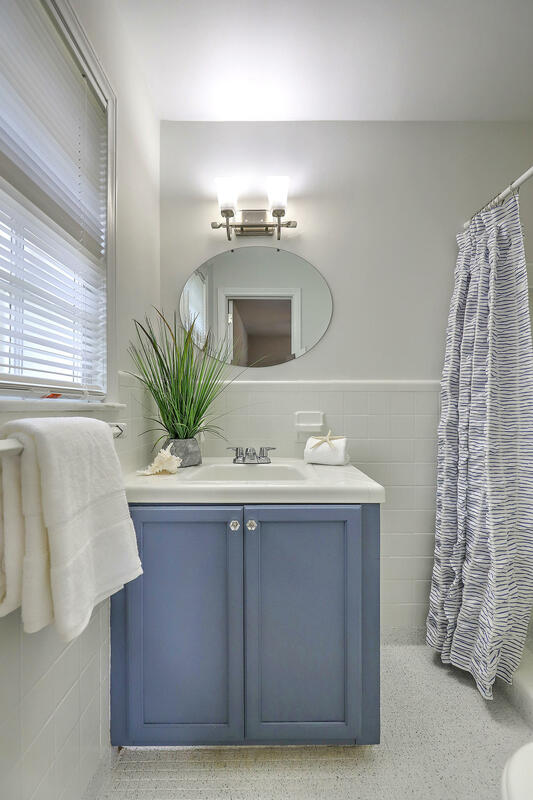 The master bath sparkles with beautiful black and white tile, dual split vanities and a walk in shower with frameless glass enclosure and rain head. 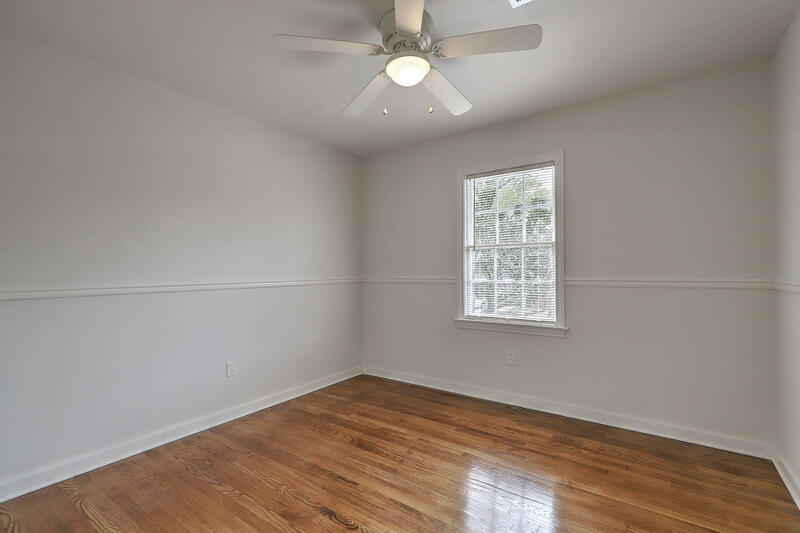 Upstairs is home to 3 nice sized bedrooms and 2 full baths. 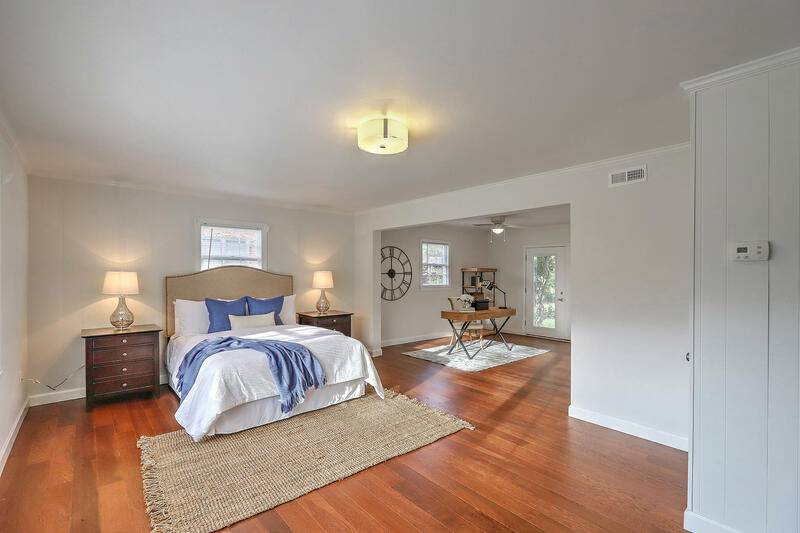 The second master has double closets and an ensuite bathroom, making it the perfect guest suite or mother in law suite. 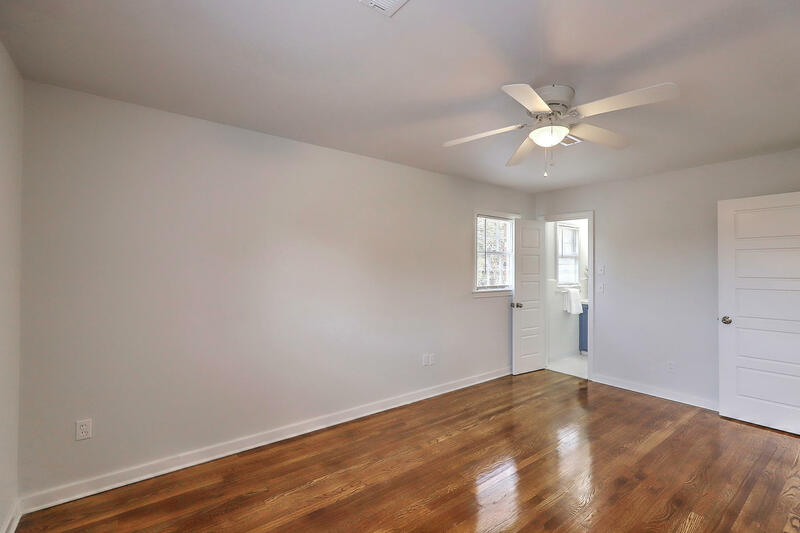 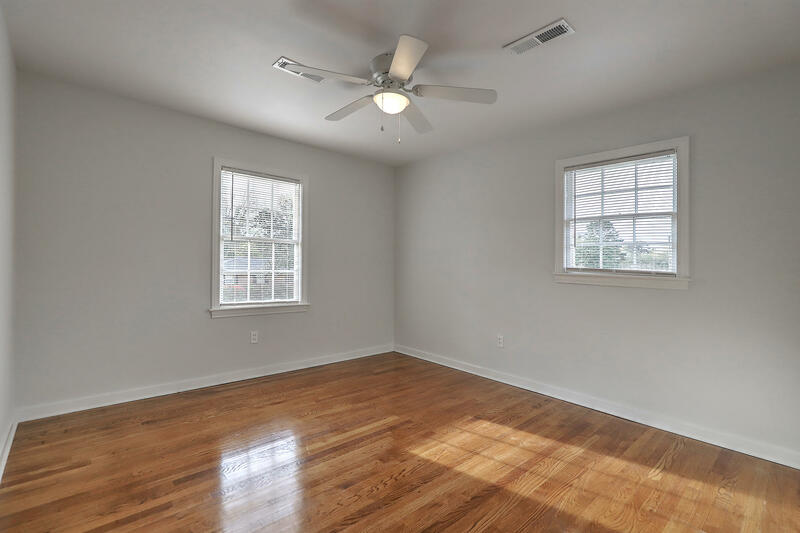 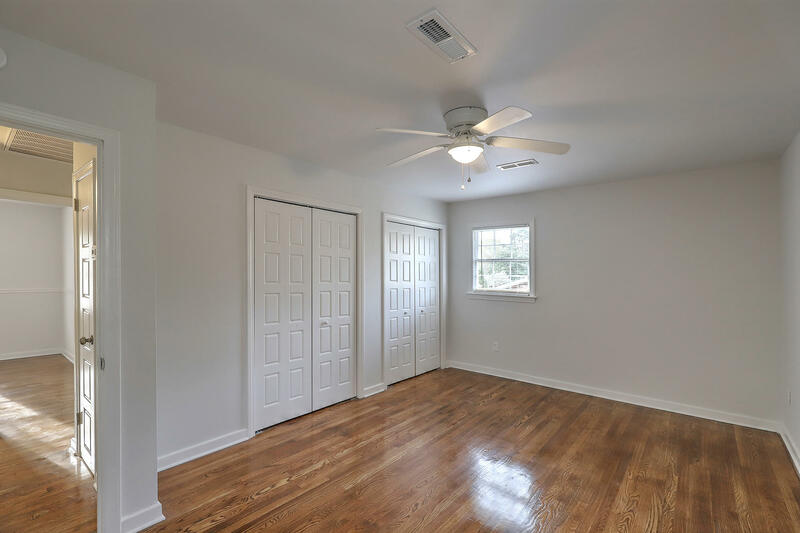 New ceiling fans have been added in all bedrooms and new light fixtures and fresh neutral paint can be found throughout! 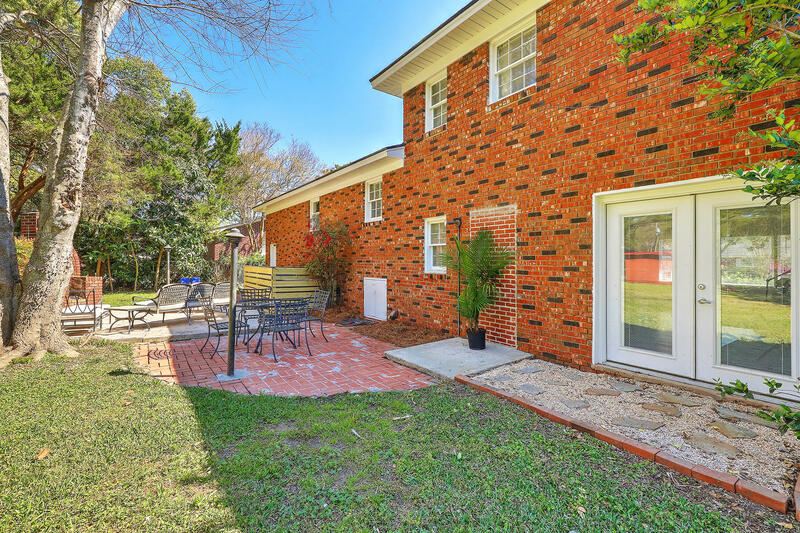 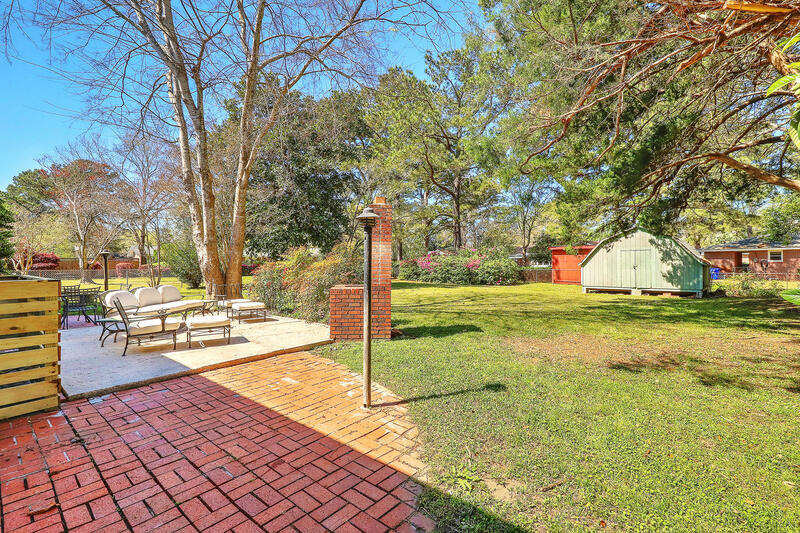 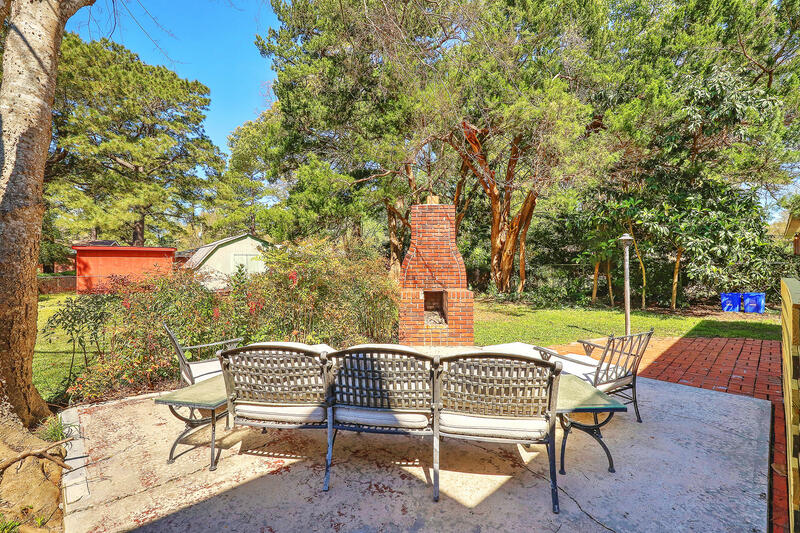 The brick outdoor fireplace is the focal point of the large backyard and ties right into the brick and concrete patio. 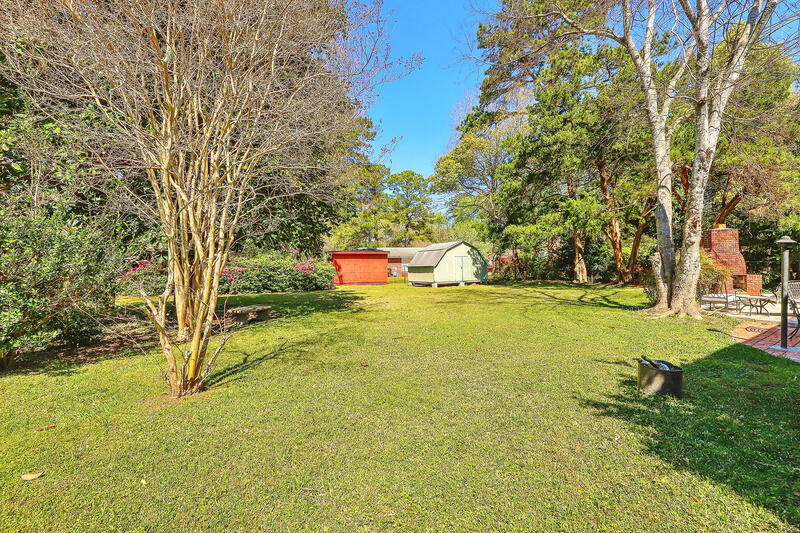 The .32 acre private backyard is perfect for kids and pets, is fully fenced in and is also home to a large storage shed. 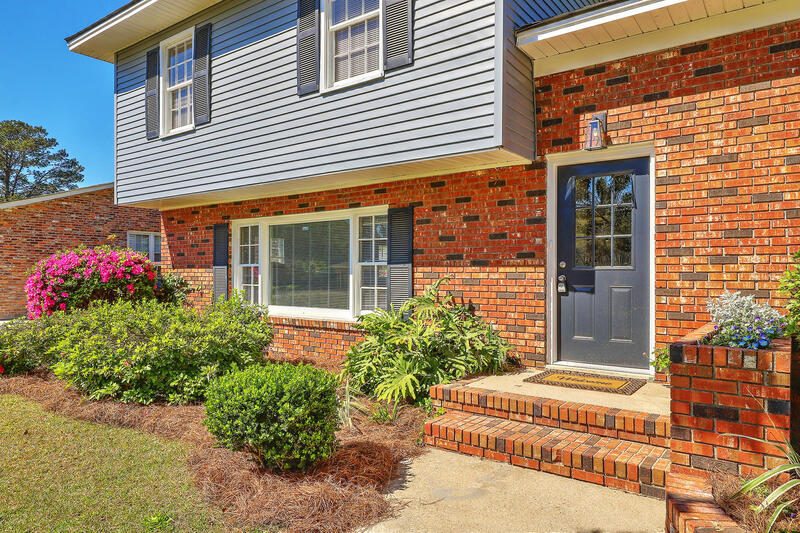 New restaurants and breweries are popping up every day in this hot area of West Ashley and Charlestowne Landing is just across the street! 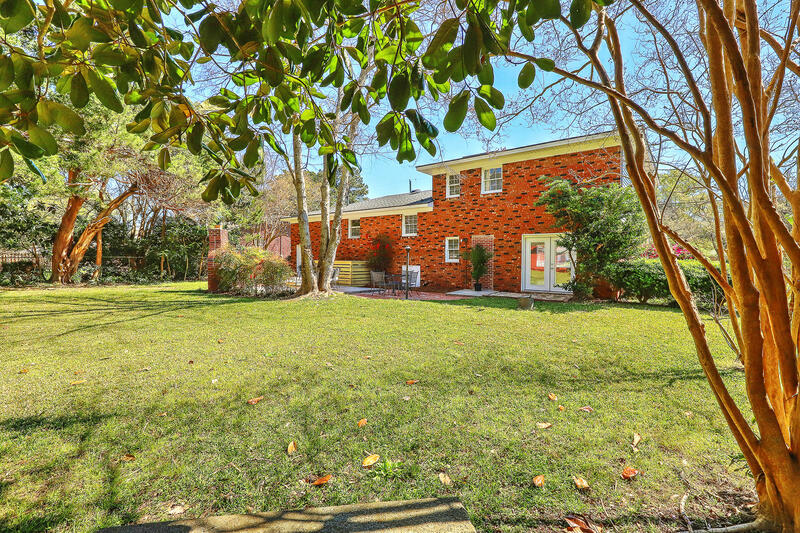 Because it's convenient to both downtown Charleston and interstates 26 and 526, this area of town has become quite popular. 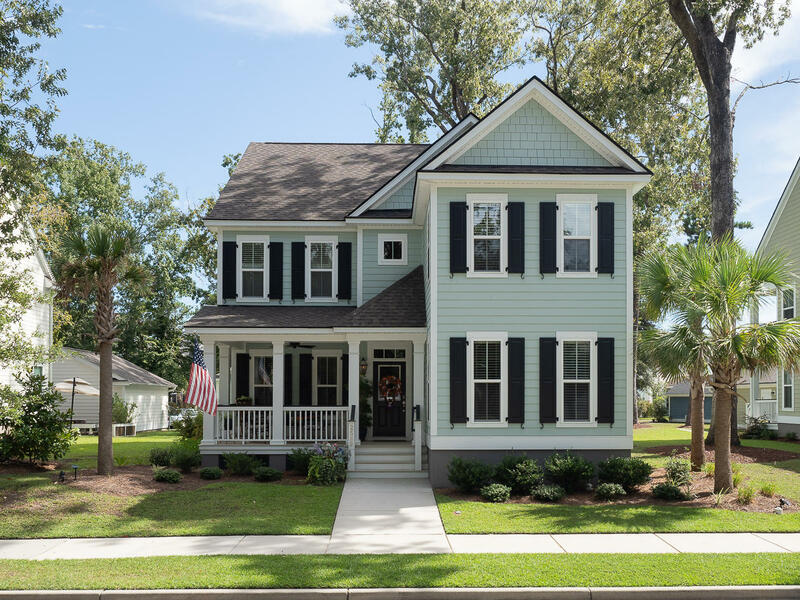 Possibly the best news of all, no flood insurance is required! 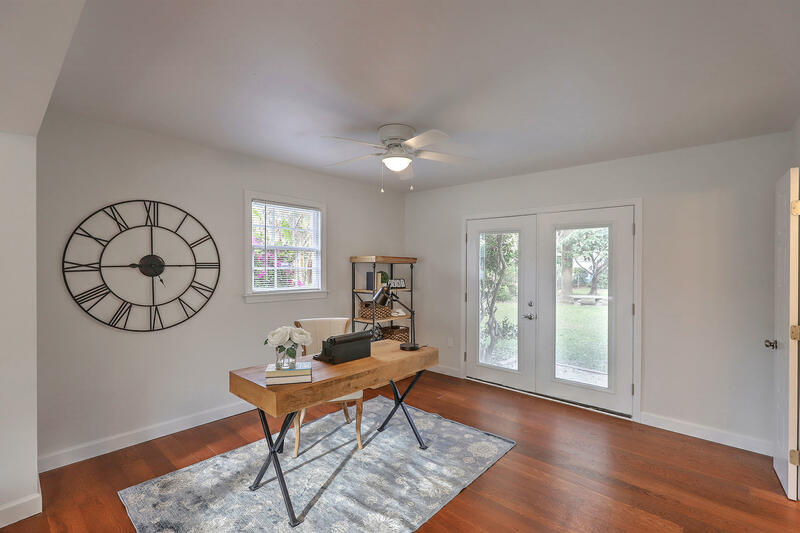 Book your showing today, easy to show!